Jodie joins the Parry Property team with extensive real estate knowledge and experience. Jodie is a fully licensed Real Estate Agent who has previously run her own real estate agency for two years. We are thrilled to welcome her and her industry knowledge to our Parry Property team as a Sales Representative. We are excited to be able to be a part of her future success. Jodie commenced in real estate in 2014 and obtained her Diploma in Property Services in 2017 where she ran her own agency for two years. During this, she sold over 70 properties. The reason she chose Parry Property is that she loves working for a boutique agency and developing relationships with her clients. Previous to real estate Jodie worked in early childhood education for over 20 years. She is married to Marcus who is an airline captain, and together they have two teenage children, Tom, and Leila who keep her busy when her time isn’t occupied with real estate. As a family they enjoy exploring what Tasmania has to offer and when they have spare time in their busy schedules, they enjoy camping and day trips to the snow and beach. If you would like to touch base with Jodie to see how she can help you to sell your home or if you want buying advice, please contact Jodie direct. 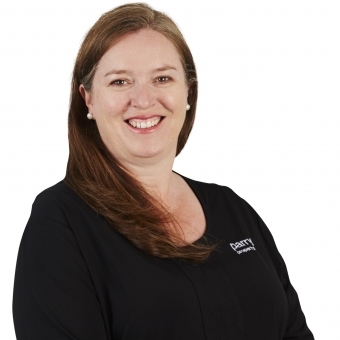 Jodie welcomes all past and future clients and is excited to be working at Parry Property. If your curious about your property's value today, get in touch with Jodie for a FREE MARKET APPRAISAL. It's simple, fast and based on our professional knowledge and experience.